love the splti background Erin and beautiful picture! I love how you used the snowflake pattern. This is quite the striking layout Erin. Nicely done! oh! i love the snowflake overlay!! wonderfully done! this is beautiful love the snowflakes & colors! 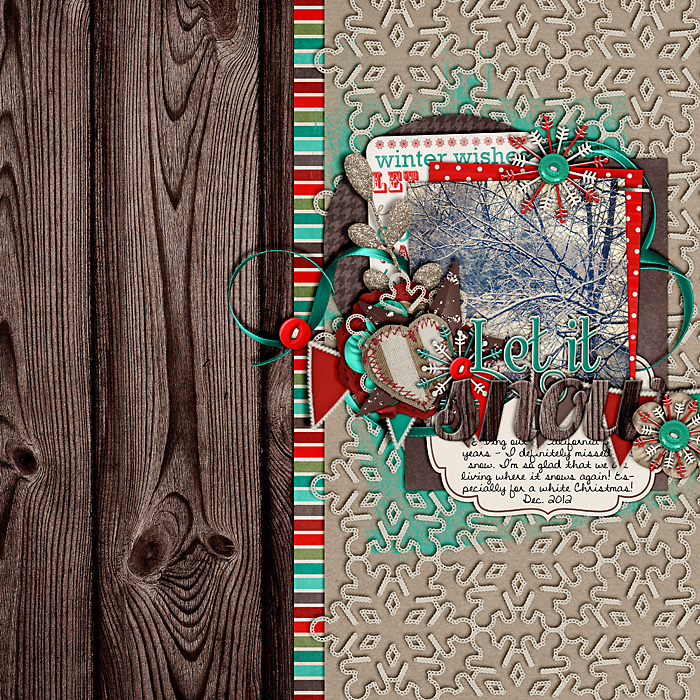 I'm loving the colors of this kit and how well it goes with your pictures, really like your opposing sides and the "textures" - beautiful page!